Traction Hobby's latest crawler - 1/8 Founder II Rubicon crawler. Comes with a lexan Rubicon crawler body with lots of molded plastic body accessories included. This is Traction Hobby's first portal axle truck. Brass knuckle weights are included for better performance and overall lower CG. The axle housing, c-hub, knuckle and lockouts are aluminum. 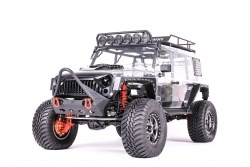 The Traction Hobby Founder II 1/8 Founder II Rubicon Crawler ARTR has an average rating of stars based on 2 customer reviews. Hello, I have received my order today. Thank you very much for the fast shipping. All looks good so far - only missing a few screws - but i'm still in the process of building it. The product looks in very high quality, all nicely done. Traction Hobby is a premium radio control car manufacturer for 1/8 scale crawler trucks. Their flagship vehicles are Cragsman and Founder Jeep. 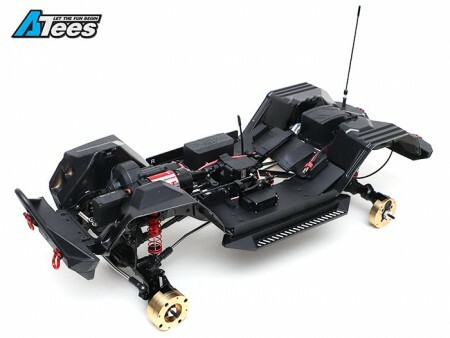 The company was created to introduce larger scale crawling cars to the hobby. Their products are unique and unlike any other. Design and quality is top notch. Traction Hobby works with real 1:1 manufacturers to develop their own scaled down products.